Happy September (deemed “apple month” by my sister)! Many students and teachers are returning back to school after the Labor Day holiday if they haven’t already: bless ’em all. 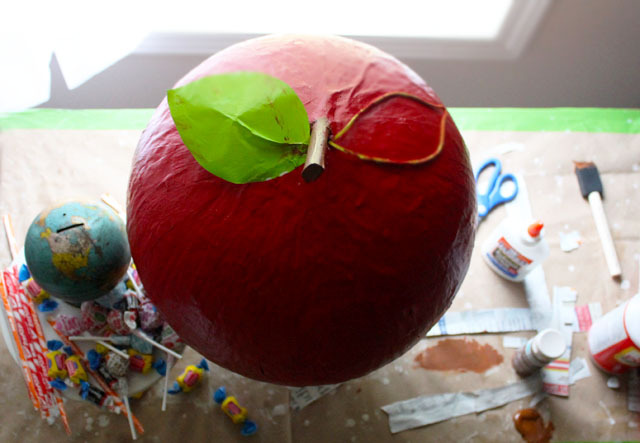 And though I didn’t make this folksy apple piñata for back-to-school, I like the idea of having something stress relieving to smash (that explodes with candy) after saying goodbye to summer vacation and hello to classroom assignments. Rather, a few special milestones in my family have passed: my parents both retired from public school teaching this summer, and they also celebrated their 40th wedding anniversary last week. It called for a celebration (involving peaches and apples…), and we are looking forward to a festive cookout with our family this weekend! 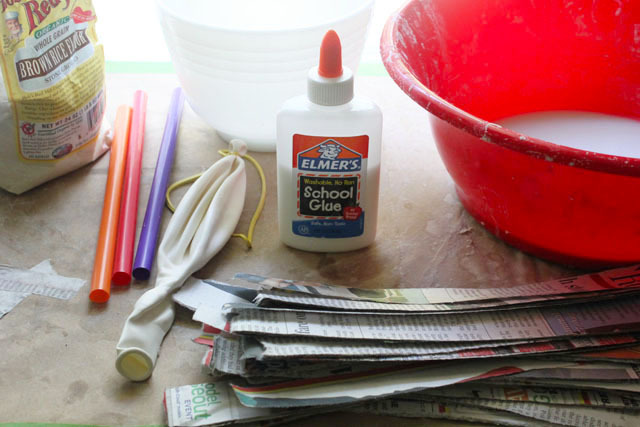 The piñata was made by covering a punching balloon using a basic papier-mâché method of dipping newspaper strips in a paste mix made of warm water, rice flour, and liquid glue. 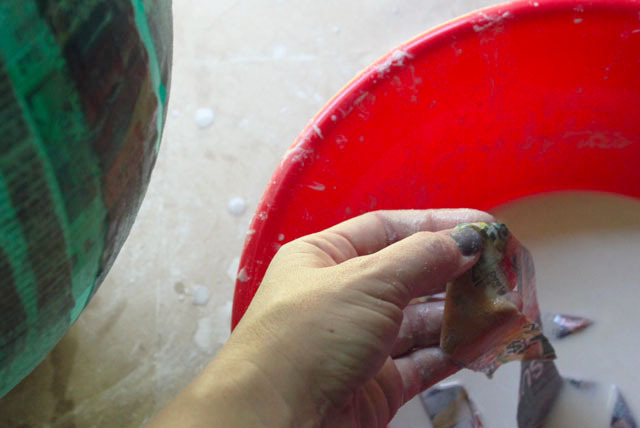 Once everything dried, the vessel was filled with little sweets, sealed up, and spray painted red. Piñata!!!! I’m going to make one of these whenever I become a teacher. So awesome! yes! 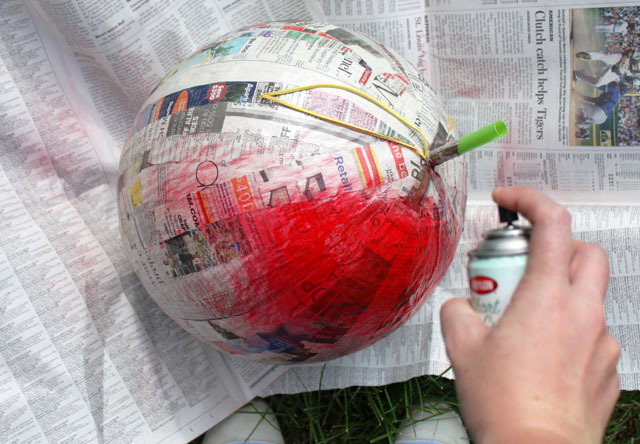 and you can paint the big pinata ball any color you want! Sooooo beautiful! You’ ve always great ideas! How did you put the candy in – I don’t see a hole.